Your tent, sleeping bag and sleeping pad are the only three camping essentials you need to pack on any bicycle tour. I just published a new video on the Bicycle Touring Pro YouTube channel titled “Darren’s Bicycle Camping Equipment – Tent, Sleeping Bag & Sleeping Pad“… and I encourage you to give it a quick watch. 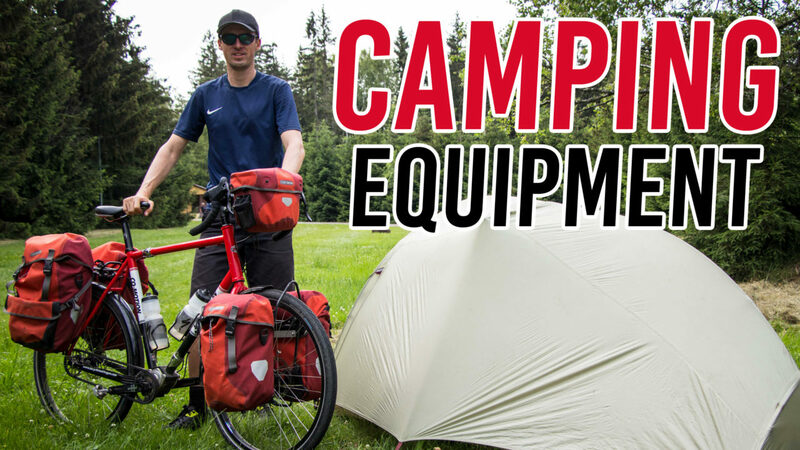 In this new video I give you an inside look at the three camping essentials I bring with me on each and every one of my bicycle tours. In fact, these are usually the ONLY camping items I pack on my bike tours. As you will notice by watching my new YouTube video, I’m not packing a pillow, a camp chair, or any of the other camping paraphernalia you might see other bicycle travelers using on their tours. This is because, after almost 19 years of bicycle touring around the world, I’ve come to realize that these three items (my tent, my sleeping bag and my sleeping pad) are really the only three items I need to carry in most instances. Watch the new video above to learn more about my camping equipment… and then click here to view my complete bike tour packing list from a recent bike tour I completed in Northern California. Hopefully this new video and my California packing list will give you some ideas for how you can pack on your own bicycle touring adventures. But remember: Don’t pack like I do. I’m carrying a bunch of camera gear that I use to make the videos for the Bicycle Touring Pro YouTube channel. You should pack much pack less than I do… and travel much lighter! This entry was posted in Bicycle Touring Pro Articles, Featured Articles, Featured How-To Articles, Main Articles, Main Featured Articles, Sleeping Bags, Sleeping Pads, Tents, Uncategorized, Videos and tagged bicycle camping, bike camping, bike tour camping, Camping, camping essentials, sleeping bag, sleeping mat, sleeping pad, tent.